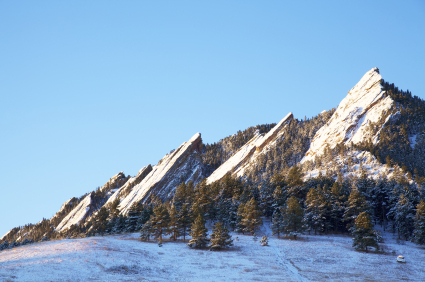 Although most people come to Boulder, Colorado to enjoy the unique mixture of urban life and a focus on the great outdoors, this city is also a great destination to enjoy history. In addition to hotels, museums, and outdoor sites, Boulder funeral homes and Boulder cemeteries offer the chance to witness the remains of the American West and give ideals for Boulder funeral planning. Of these, the most famous site, Columbia Cemetery, regularly tops the lists of things to see and do in Boulder. Even if you think visiting cemeteries for fun is a little out of the ordinary, this one is well worth a trip. As part of the Boulder historical backdrop, you can get a taste of the past while also enjoying the great outdoor spaces that make this city so famous. Columbia Cemetery is located on 10.5 acres in the heart of town. Over 6,000 people are buried here, and their gravestones tell a story about life in the city’s pioneering days. There aren’t any big names or famous headstones, but there is more than enough history here to satisfy those who stop by for a visit. The state of decay, which many locals feel adds charm to the site, is something of a sore subject when it comes to the state of Boulder cemeteries. For decades throughout the mid-twentieth century, Columbia Cemetery suffered from neglect and overgrowth. It was until the 1990s that the city came together to preserve and maintain this part of Boulder’s past. The cemetery is now a protected area, and visitors are asked to refrain from damaging the site with activities like sports or grave rubbing. 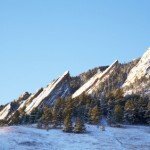 If you’re familiar with the Boulder, CO setting, this emphasis on preservation makes sense. There is a kind of unity to the population here, especially when it comes to issues of the outdoors and the reverence due to the Boulder funeral planning process. In fact, you’ll find that today’s burials and cremations within Boulder funeral homes follow in much the same tradition as the most recent renovation and conservation efforts. An emphasis is placed on green funerals and ecologically sound burial practices—and all to keep the clean air, gorgeous scenery, and environmentalist lifestyle firmly in place. Whether this means opting for cremation in place of burial, choosing to forgo funeral flowers, or selecting a casket made of simple wood, the opportunities for green funerals in Boulder are just as diverse as the people here. Other opportunities to make the most out of the scenery—including finding a funeral home that looks out onto the Rocky Mountains—are popular among those fortunate enough to live (and die) here.